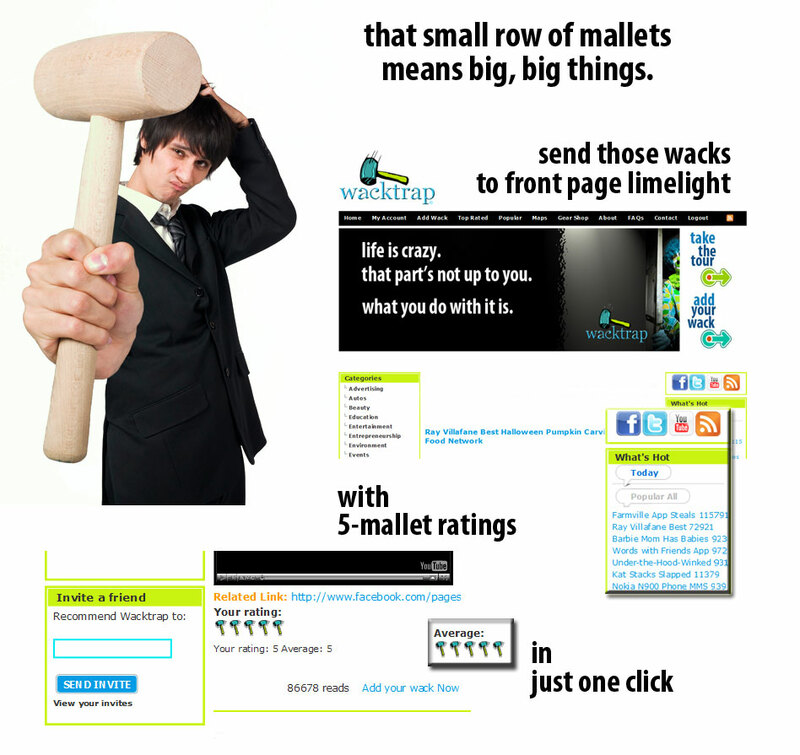 Enjoy use of the Wacktrap website to read anything you’d like, but you’ve gotta be registered to add a wack, Rate a wack or Comment on a wack. We value your privacy and Wacktrap membership is free. Once registered, you become a Wacktrap Member. And we’ve got all kinds of features you’ll enjoy and find easily in My Account. Access your account to use wack mail, Wacktrap Messaging to make and add Connections, send an invite and manage your Subscriptions for RSS Feeds. Plus you're gonna want to learn more about all our Fancy Features you'll be usin', like Forums and Wack Stats.